How much does a t-shirt weigh? 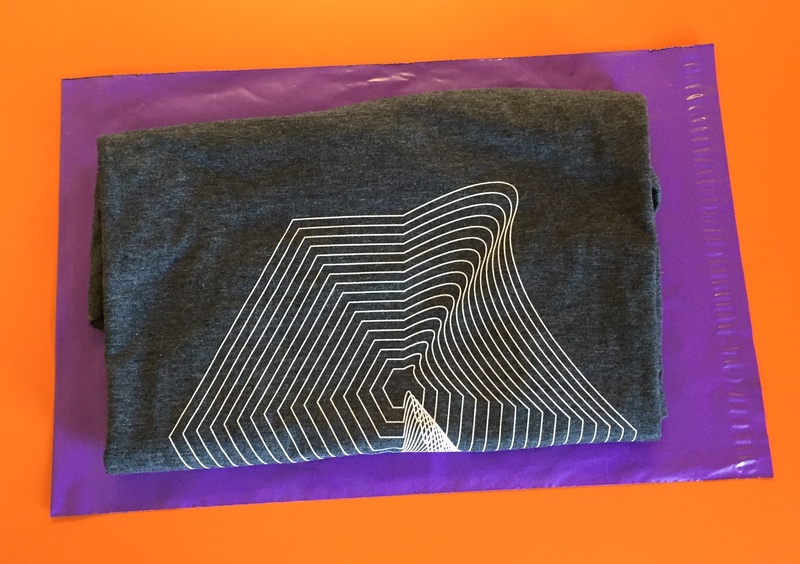 One of the most common things people need to do with their screen printed shirts is get them posted out, e.g. to their customers, or to their team. But that isn’t as straightforward as you might think. If you’re selling online, you’re going to need to know how much is your t-shirt weight so you can charge or budget the right amount. And if you’re posting to another country, a small difference can really increase the shipping cost. How much do t-shirts weigh? 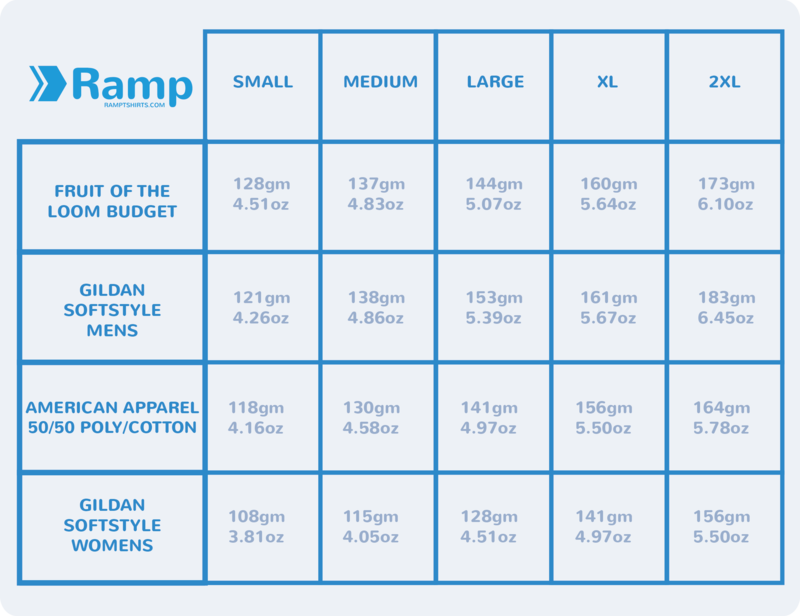 So we’ve taken some of the more popular brands of t-shirt, weighed them for you and put together this handy table for reference. Right now it’s just t-shirts but we’ll be updating it with hoodies and sweatshirts soon. Check back. 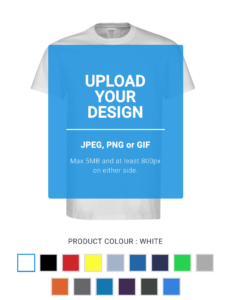 If you haven’t already ordered your custom t-shirts, you can get started and have them ordered with us in just 3 minutes. Click here to get started. So, a small Fruit Of The Loom Budget t-shirt weighs 128 grams / 4.5oz. A medium Gildan Softstyle t-shirt weighs 138 grams / 4.86oz. 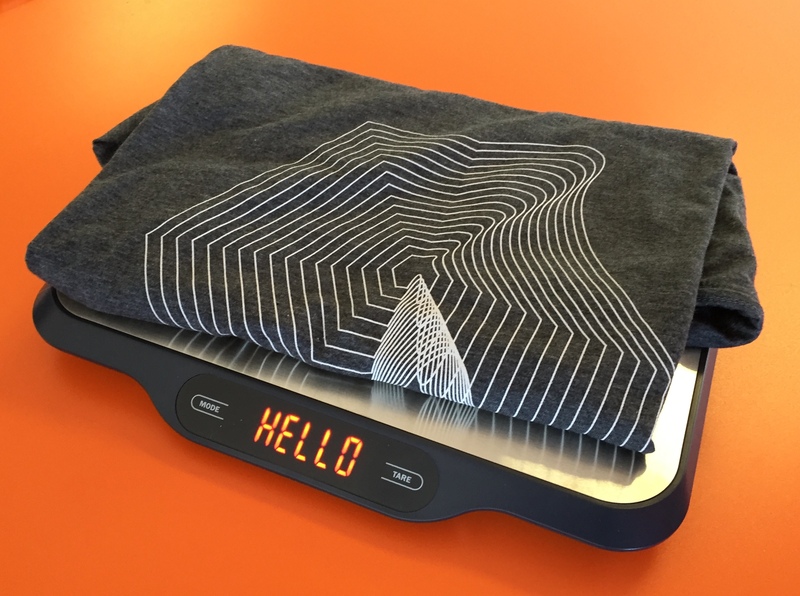 And an XL American Apparel t-shirt 50/50 weighs 156 grams / 5.5oz. So, an average t-shirt will probably weigh about 130 grams to 150 grams. Learn the difference between screen printing & digital printing. Does it affect the t-shirt weight? Please note – shirt weights can vary from territory to territory and from year to year. Manufacturers do change the ‘recipe’ on occasion, and not only that, the weight can change due to things like humidity too! Another thing that can change the weight is a ‘heather’ finish (this will tend to make it lighter by a couple of grams). So – take these as a rough guide and always round up. Also, let’s talk packaging. A great way to send an individual shirt is a plastic mailbag. These are great value, waterproof and lightweight. Typically a plastic mailer that can hold one folded shirt will measure around 250mm x 350mm (10″ x 14″). In the UK, this also has the advantage of being small enough to qualify for the cheapest type of parcel post. These mailbags add 15g to each item though, so be aware! Adding in a packing note or a postcard will add weight too – the A5 cards we put in with some of our shirts weigh 6g. And don’t forget the free checklist below so that you have all the things you need to know before ordering custom t-shirts and more in one quick and easy document. Next Next post: How do I fold a t-shirt?